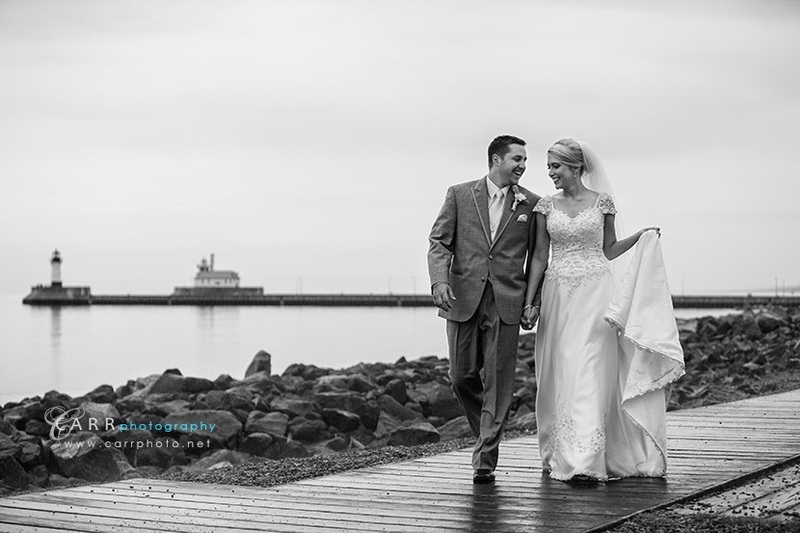 The weather didn't entirely cooperate for Laura and Garret's wedding, but despite the rain we went out and got pictures anyway! 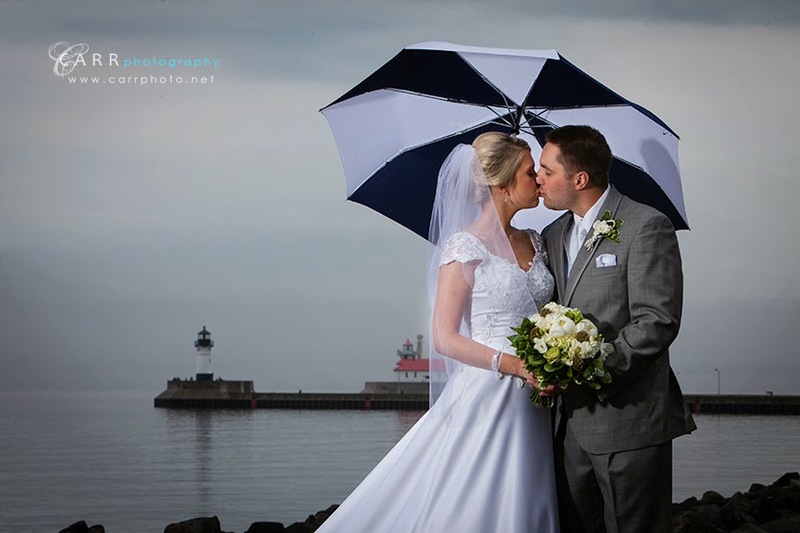 It was great to work with a couple who were will to risk getting a little wet. 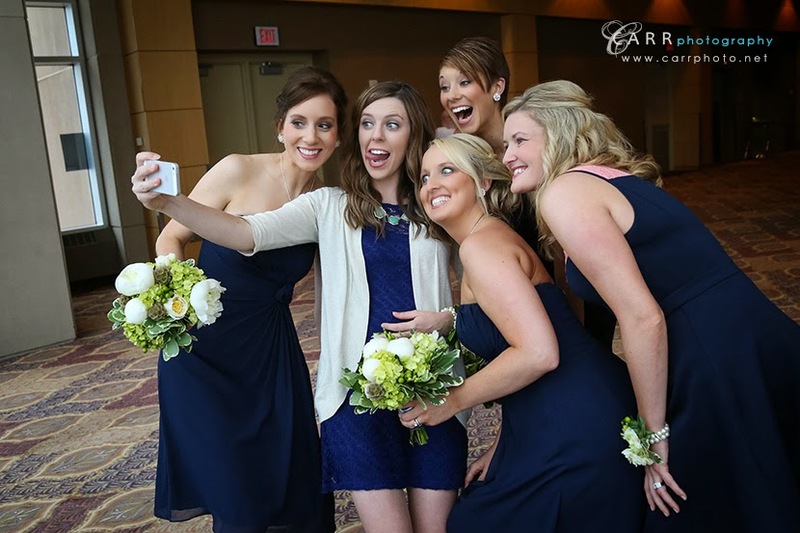 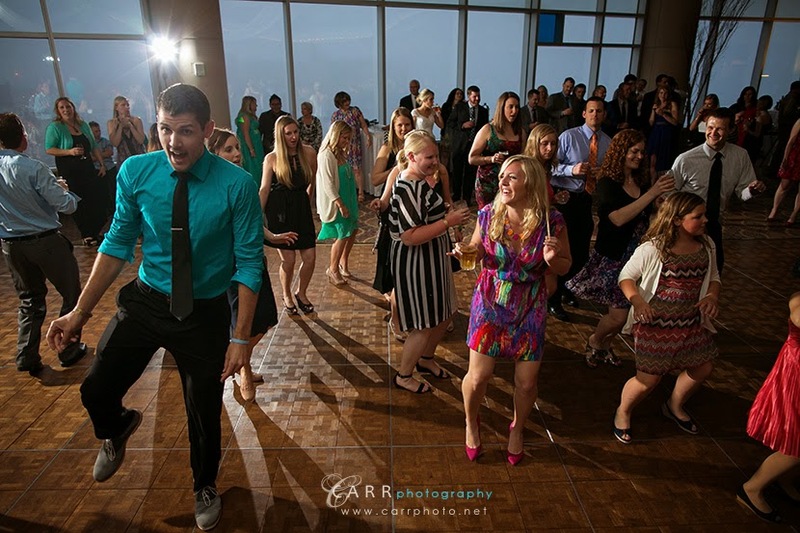 In fact the whole bridal party was a lot of fun to work with. 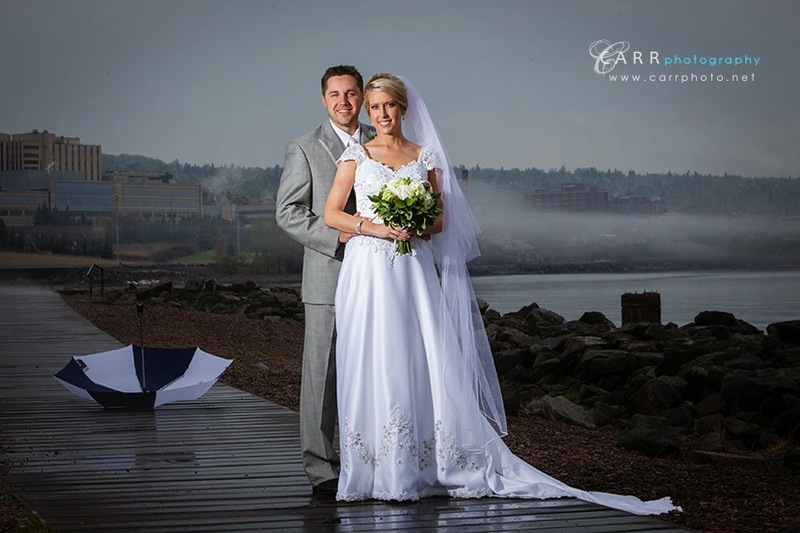 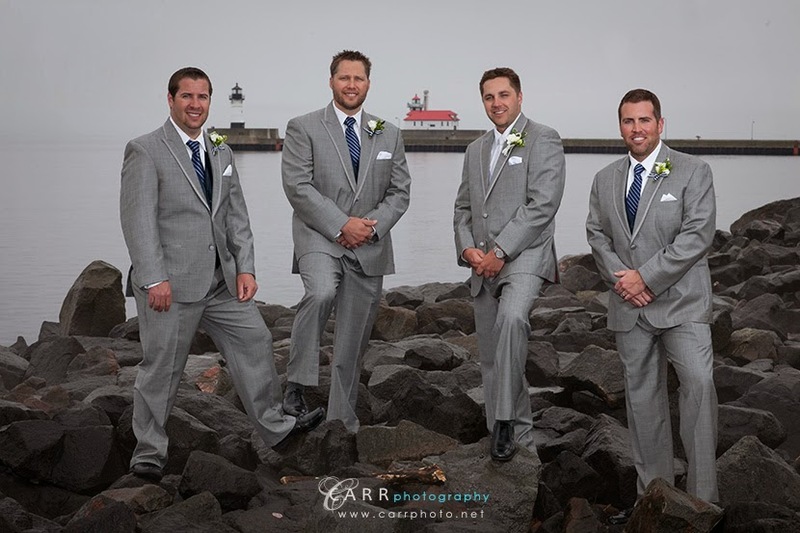 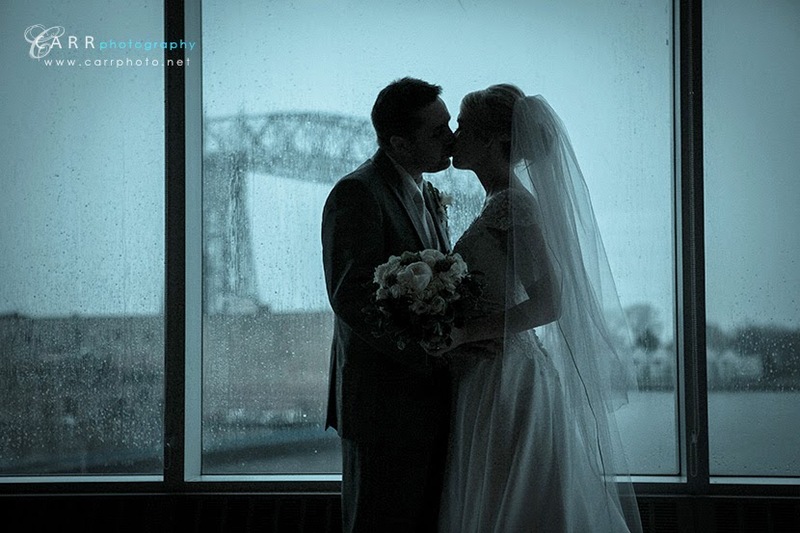 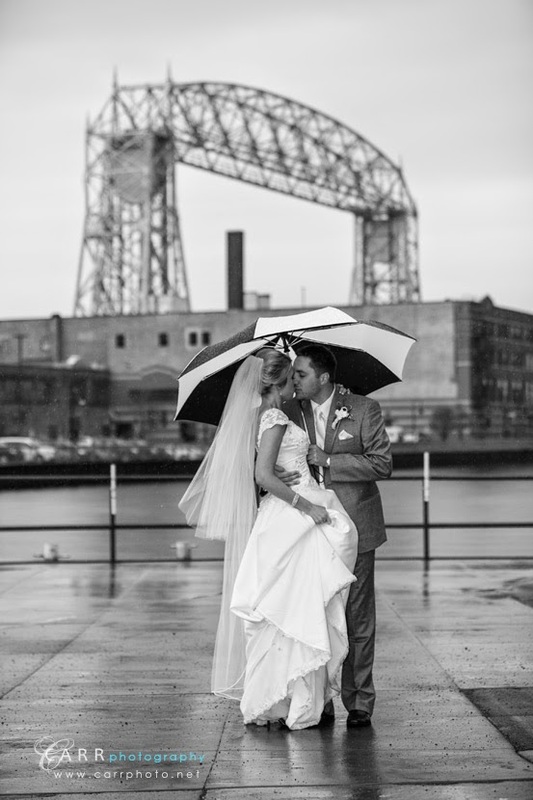 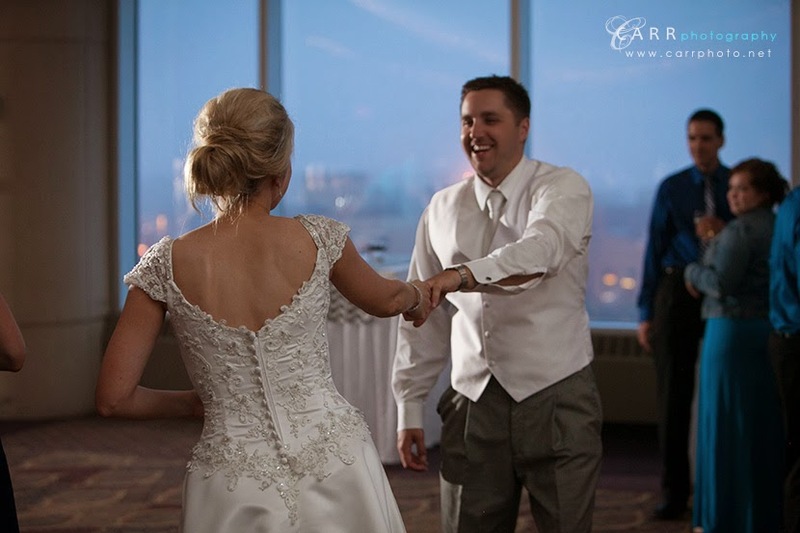 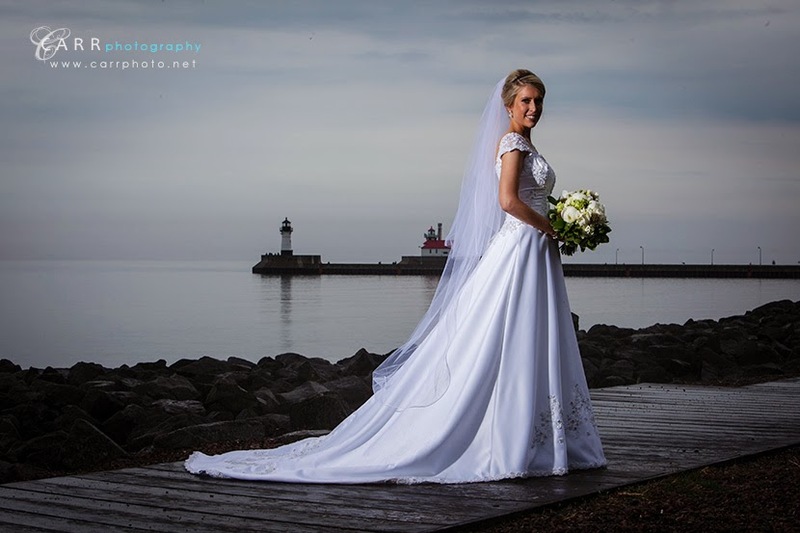 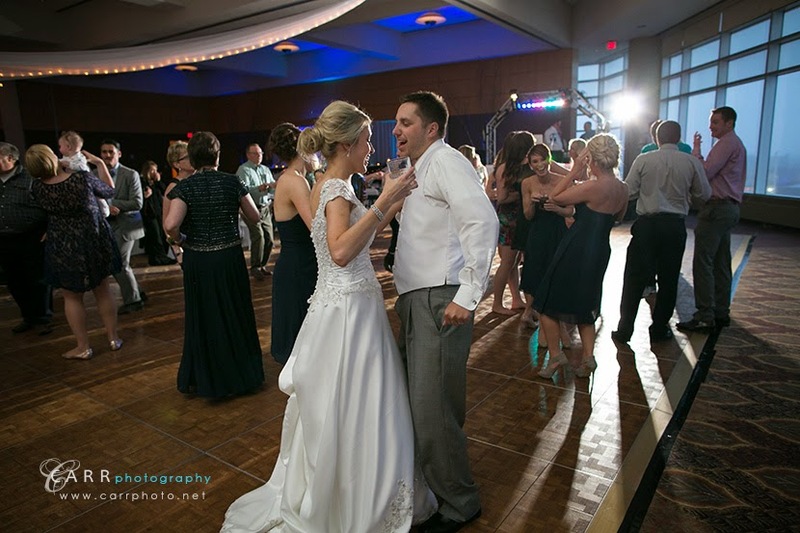 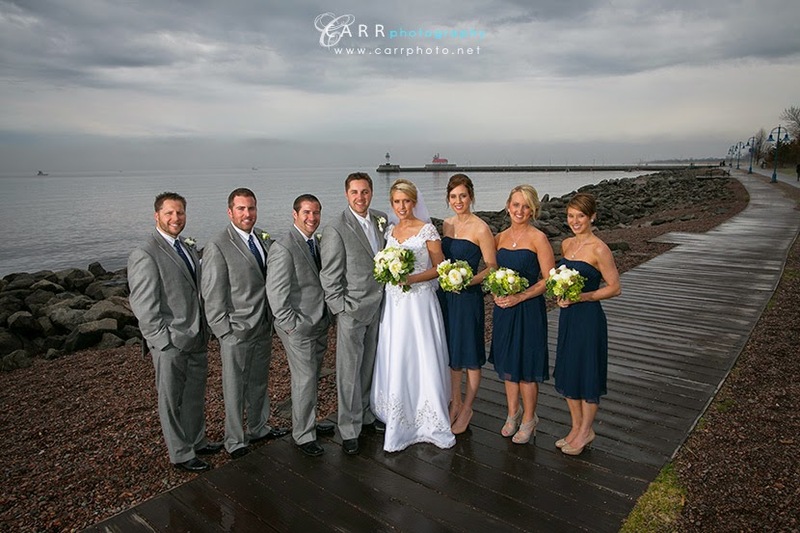 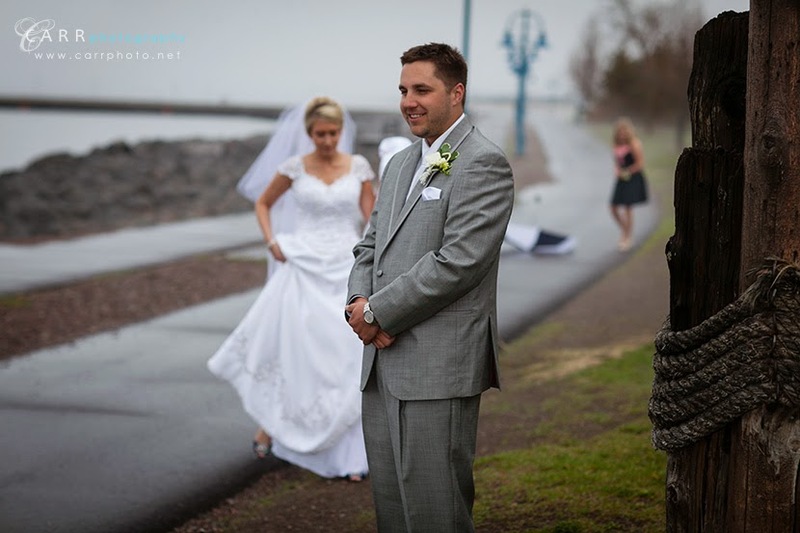 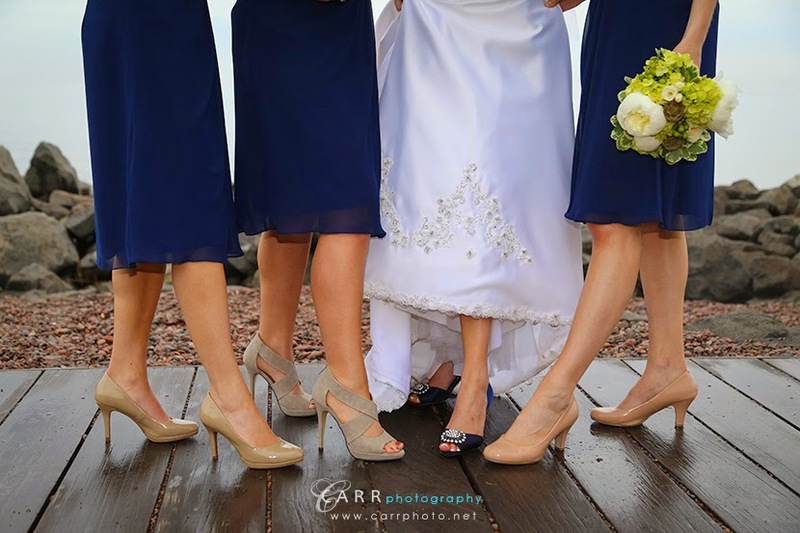 We first met at The Inn in Canal Park in Duluth, and after a few pictures we walked over to the DECC for the wedding ceremony and reception. 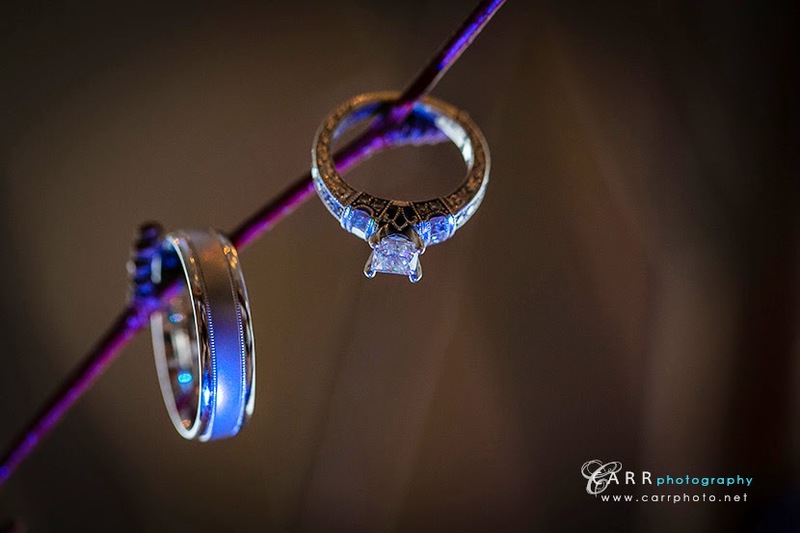 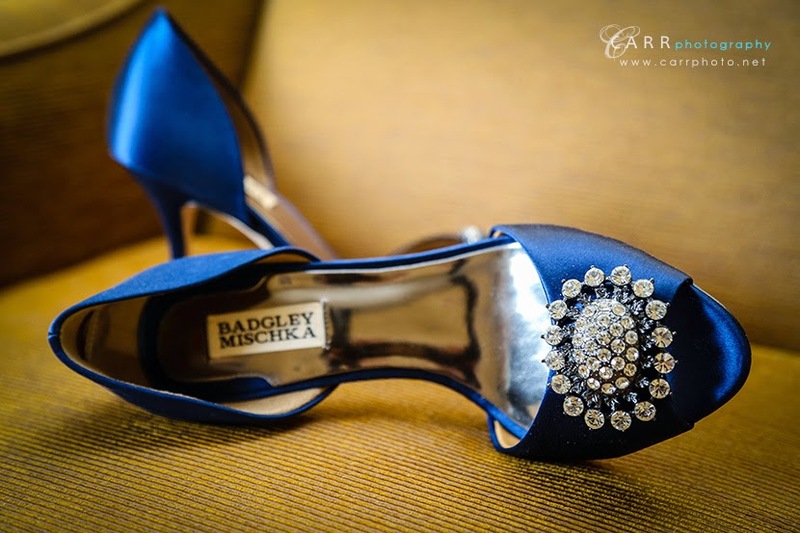 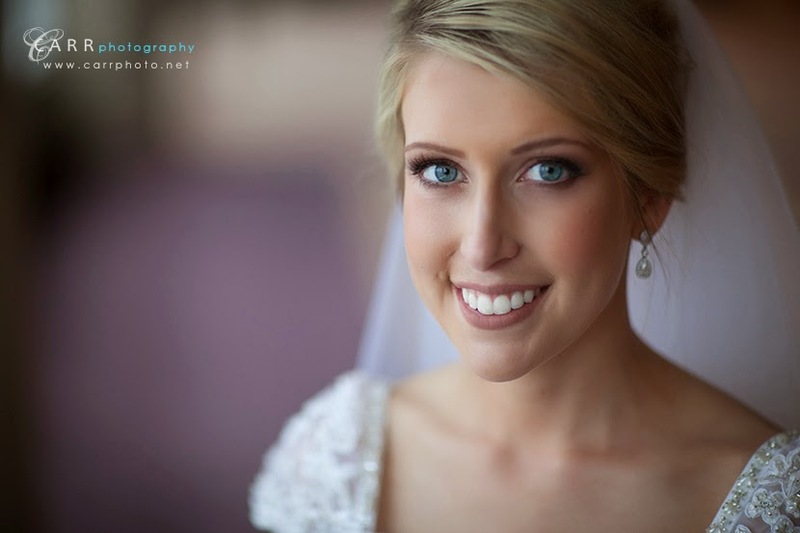 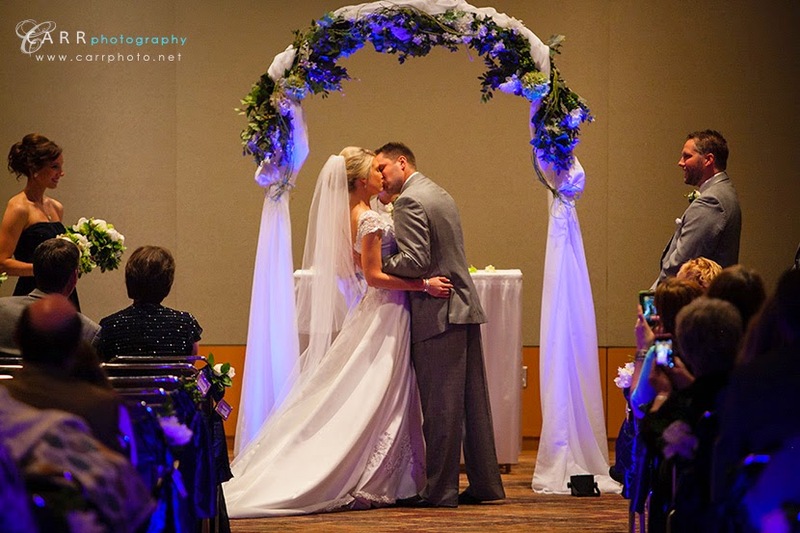 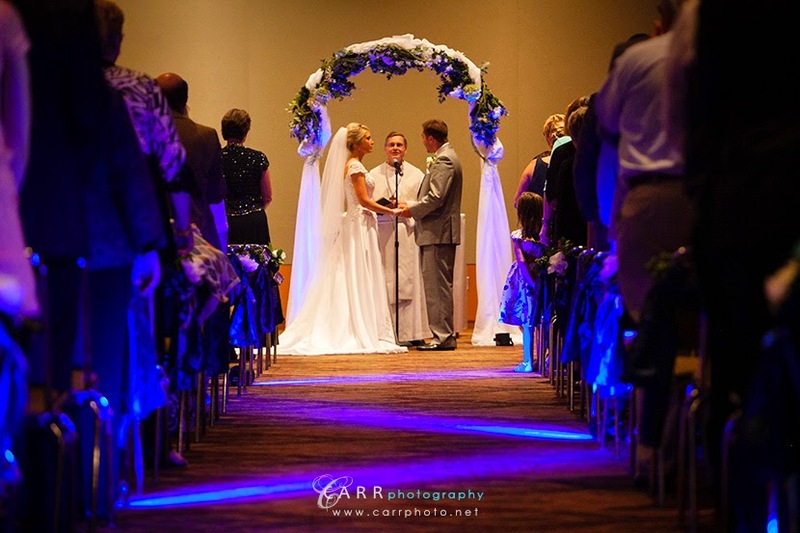 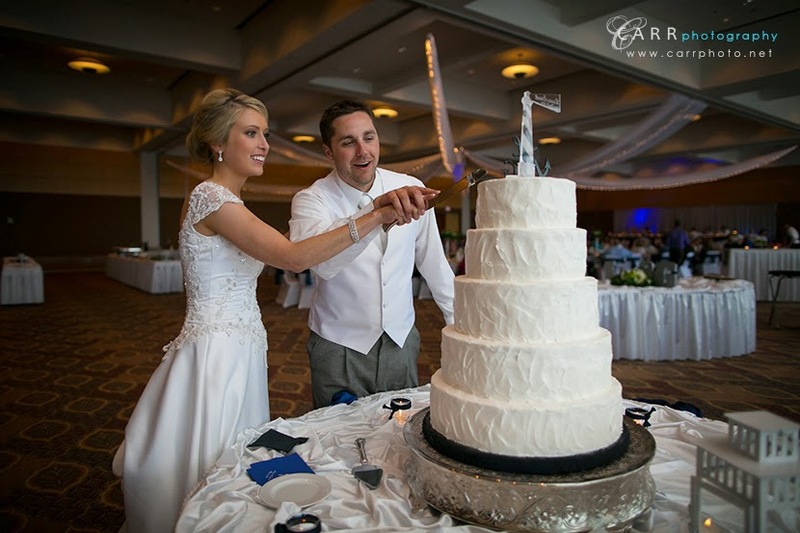 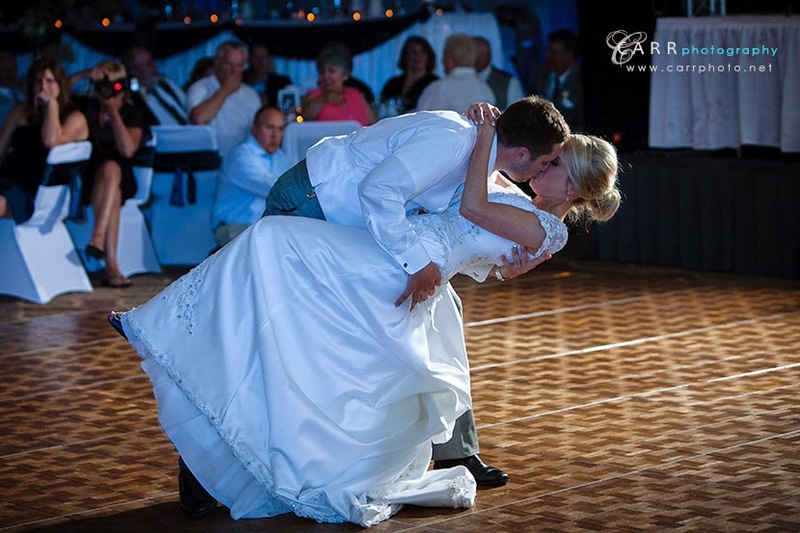 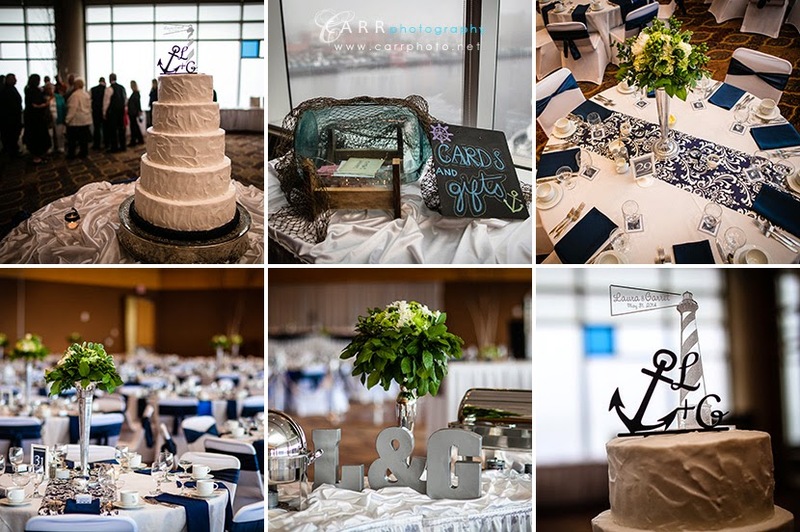 Laura and Garret had a nautical theme for their wedding decorations which was very fitting. 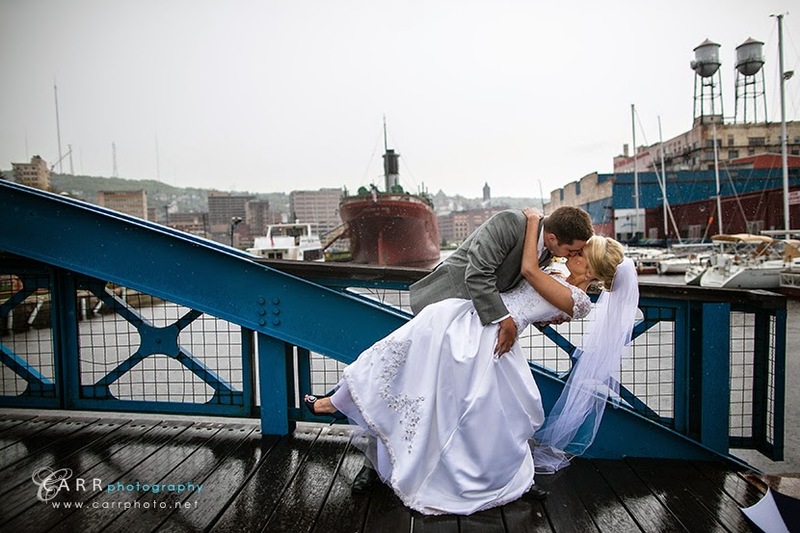 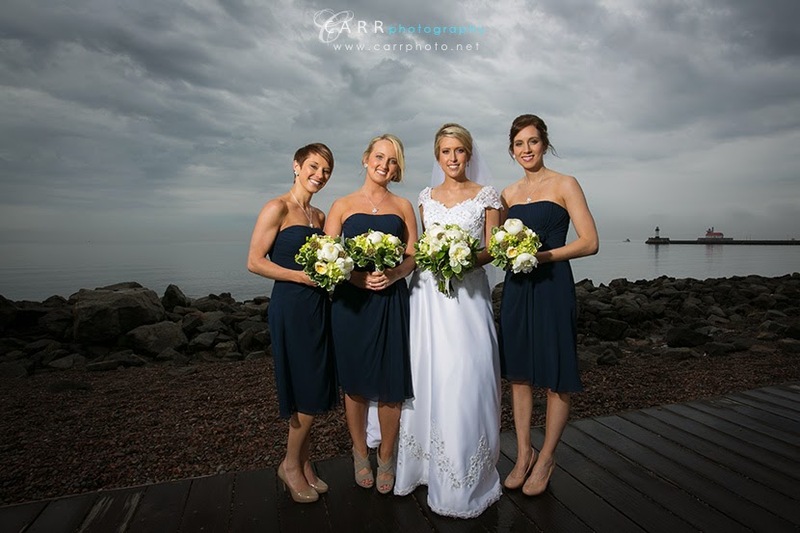 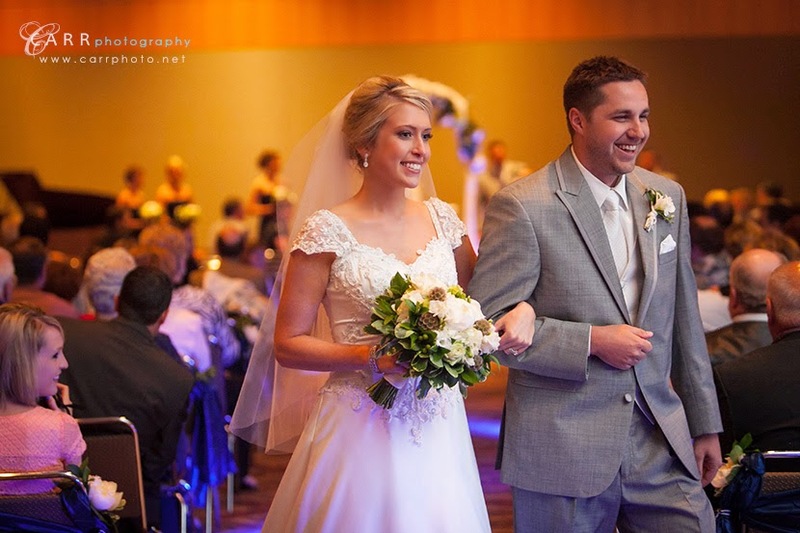 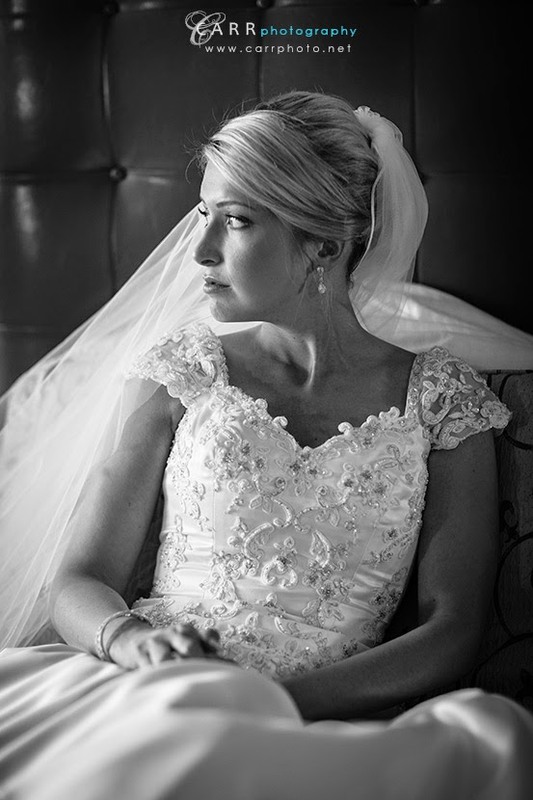 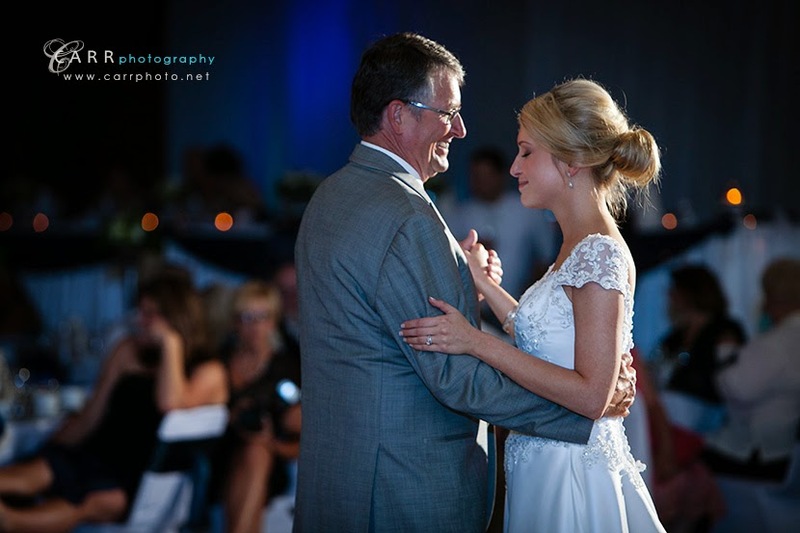 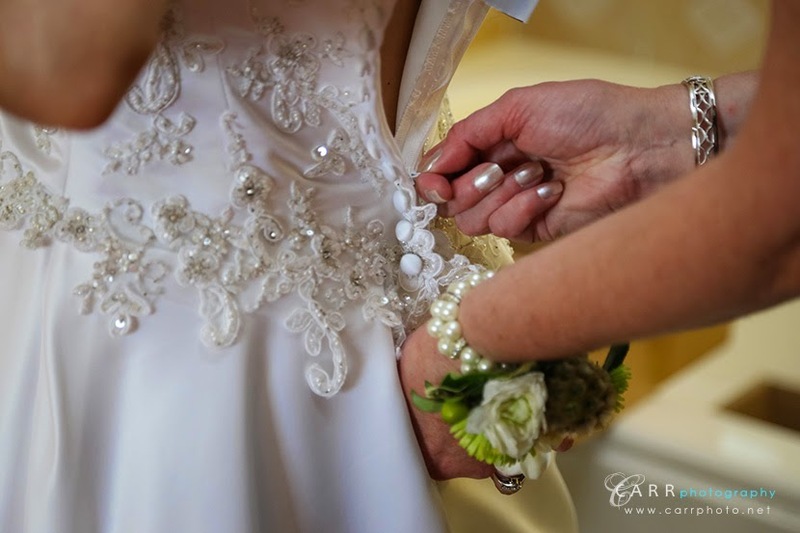 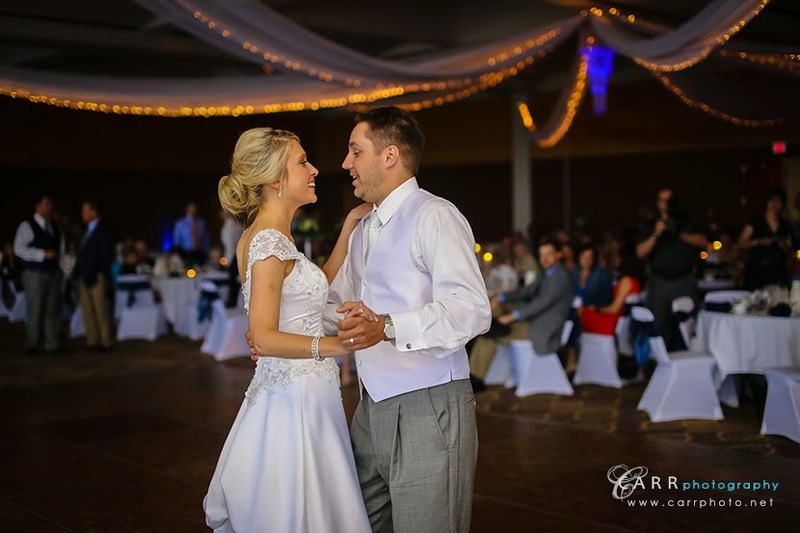 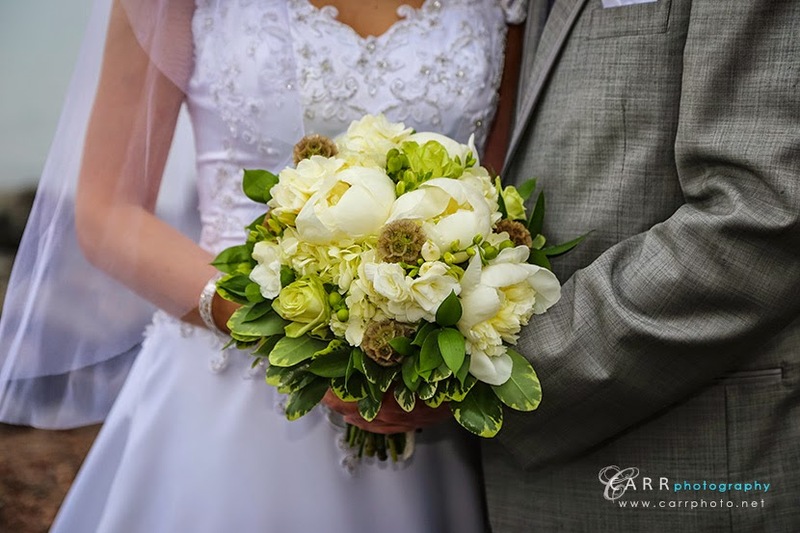 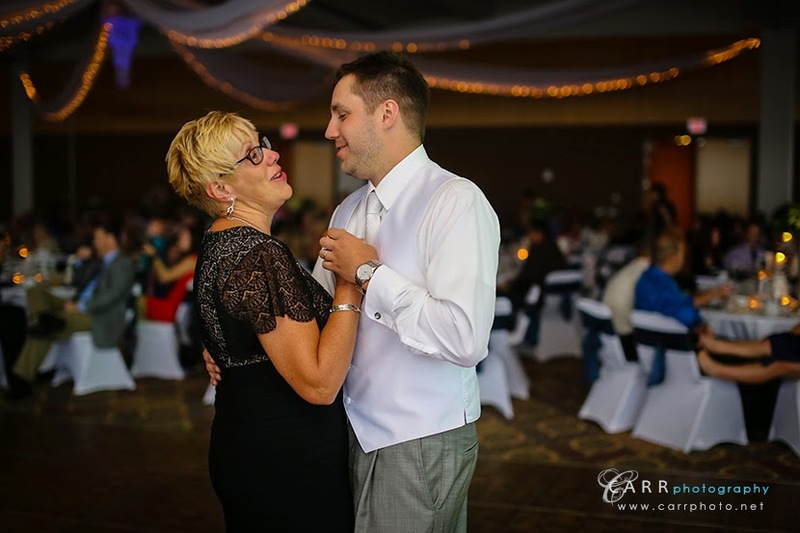 Click below to see more images of their day!